There are occasions throughout life when being an introvert is not ideal. A semester abroad is one of those times. Since the Boston airport I’ve been chatting with people, joining groups on a whim, striking up conversations, and sustaining small talk. It’s been exhausting, but also really nice. I went from having no friends and being really nervous to having plenty of friends and lots of travel plans. Throughout the week I kept bonding with whomever I could. It’s been difficult but lovely, and it became easier the more I did it. I think it’s good to be able to pretend to be an extrovert. However, it is not a mask I can wear for too long. Thank goodness for no-class Mondays! 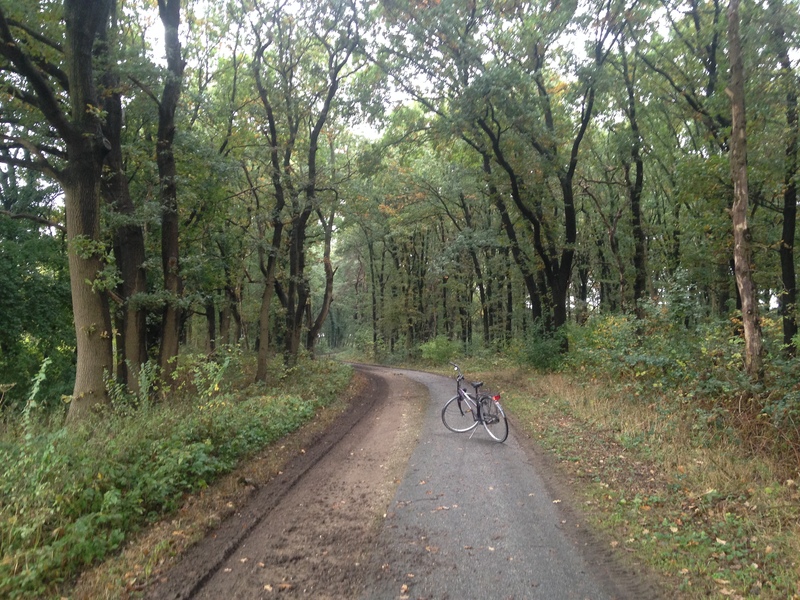 I spent today, everyone’s first day of class, on a solo bike ride down a lovely Dutch bike trail. I saw some cute animals along the way, like two horses, some cows, some sheep, and even a small herd of deer that someone had kept as farm animals (or pets? I’m not sure). Then I got back to my room I share with two other girls, and it was empty. What a rarity! I caught up on my YouTube shows and ate a few Stroopwafels, allowing myself to unwind. I was impressed with my ability to make friends in such a hectic, crazy, beautiful, wonderful place. I feel like I’ve already grown as a person while in the Netherlands, and it’s only been four days! More importantly, I can see now where I may have gone wrong before, like with high school and the beginning of college. There are some introverts here, I can tell. They sit alone at meals, they don’t talk before class. I realize now that seeming shut off to the world like that can make one seem unappealing to befriend. A bit of reservedness is fine, but appearing too introverted can, I would say, be a bad thing. Perhaps when one can’t be alone, one should embrace company. Nothing is wrong with reading at night, or a solo-stroll around the grounds, or any other time alone, but when I must be with people I will BE with people. Openly, honestly, 100%. Basically, I don’t feel the need to hide myself anymore. And I feel good about that.